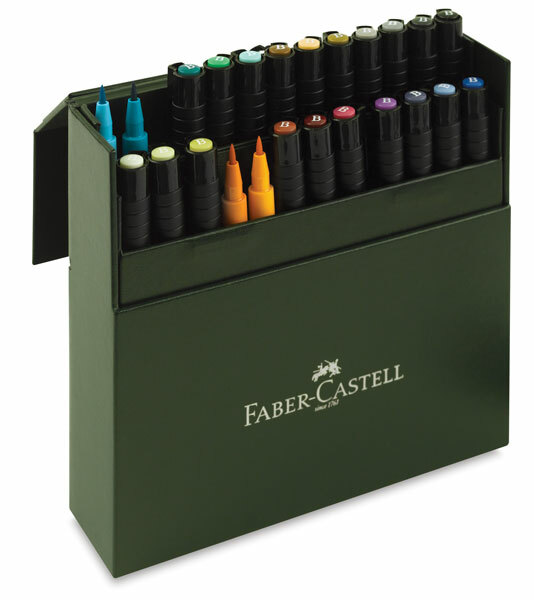 Graphic artists, illustrators, designers, architects and art students will all appreciate a sensational box of 12, 24, or 48 Pitt Brush Pens in a full color spectrum. Each pen is filled with lightfast, waterproof India Ink and has a high-quality brush point for maximum flexibility on freehand or detailed sketches. Each set includes a beautiful faux leather gift box that doubles as a pen stand.